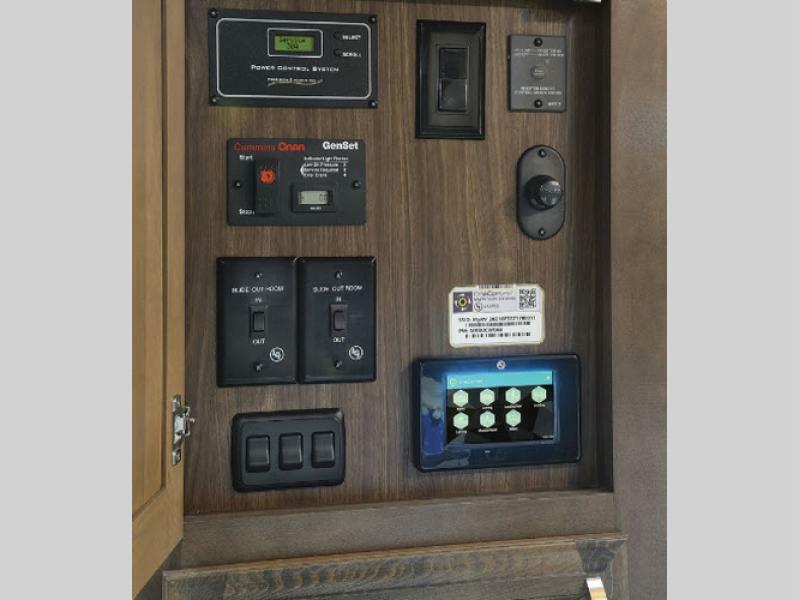 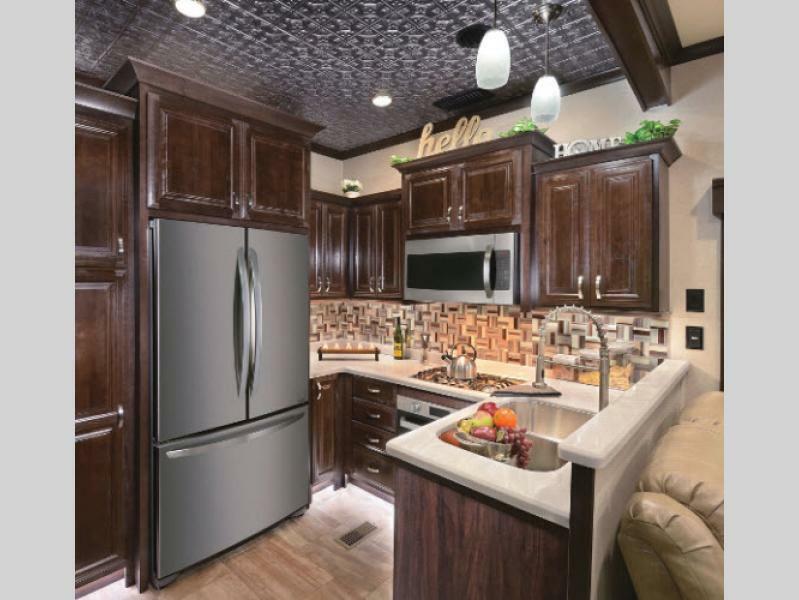 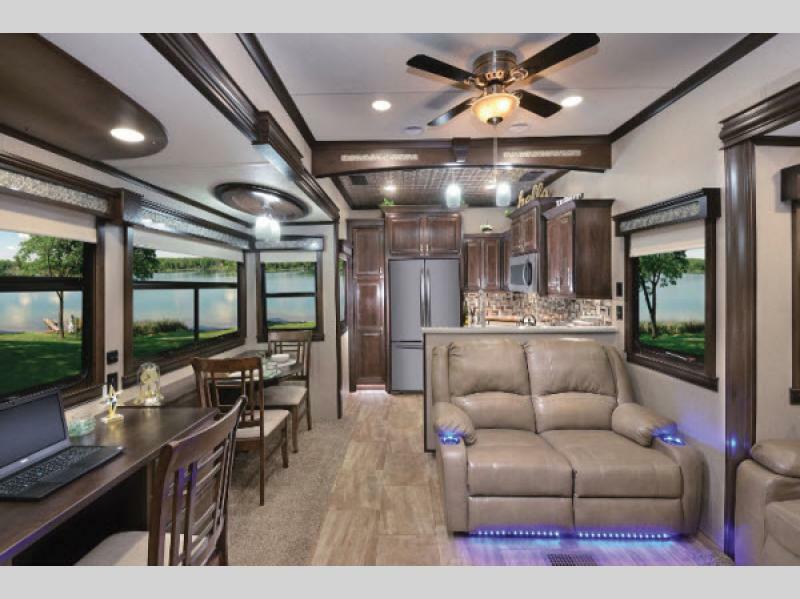 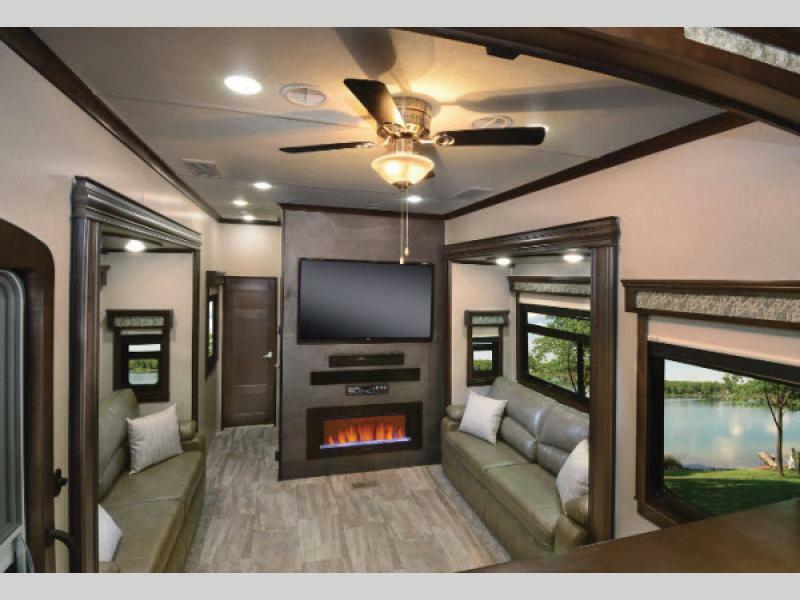 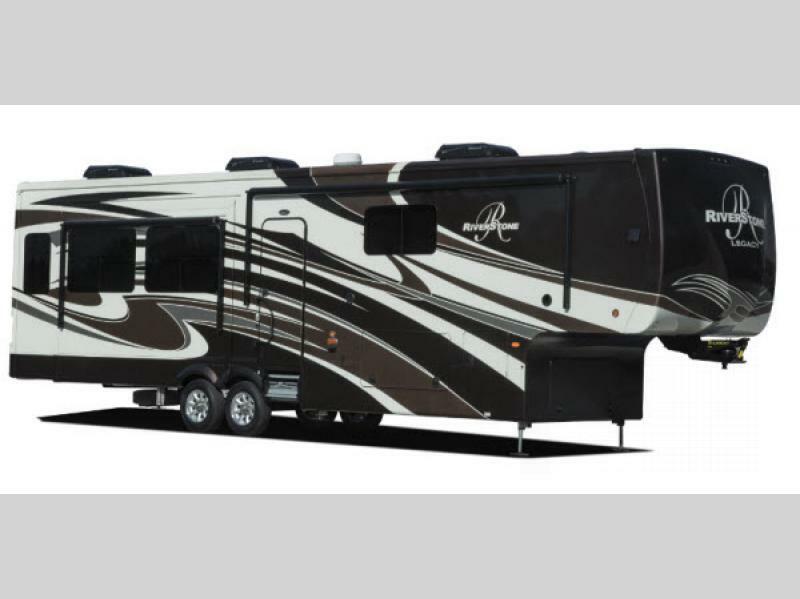 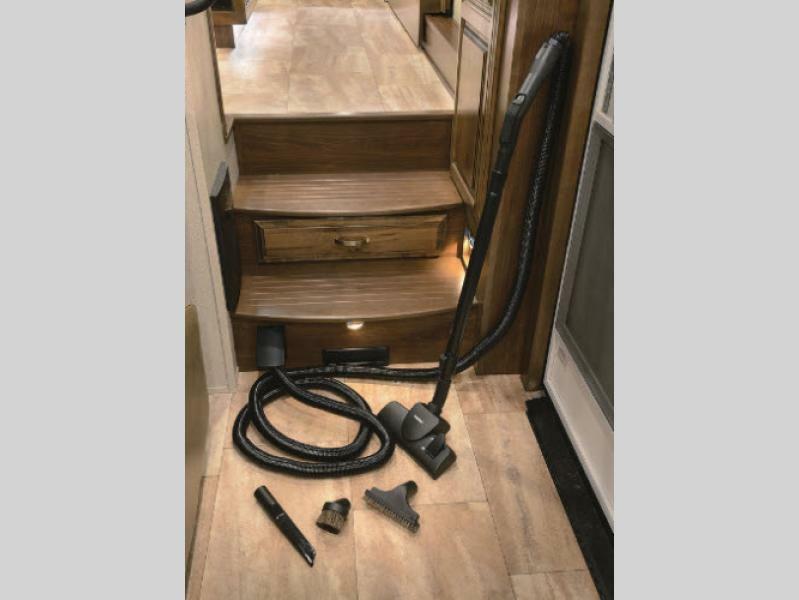 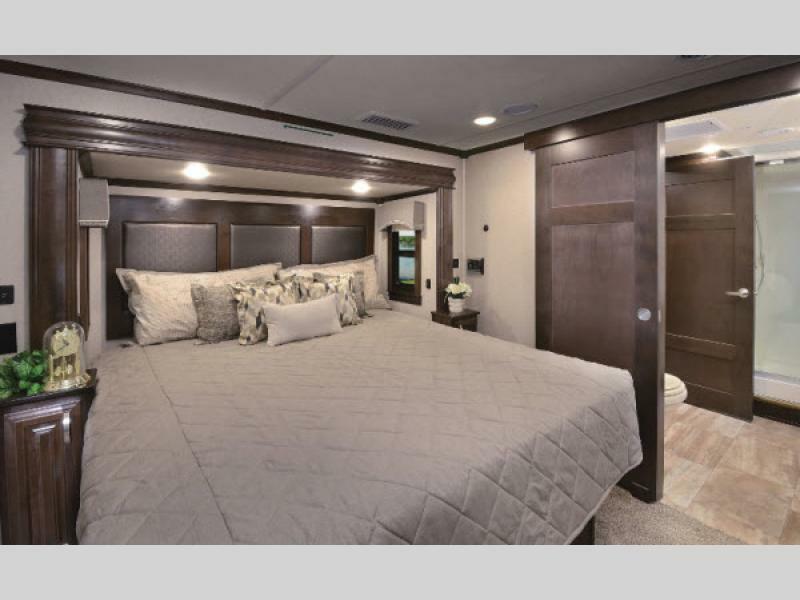 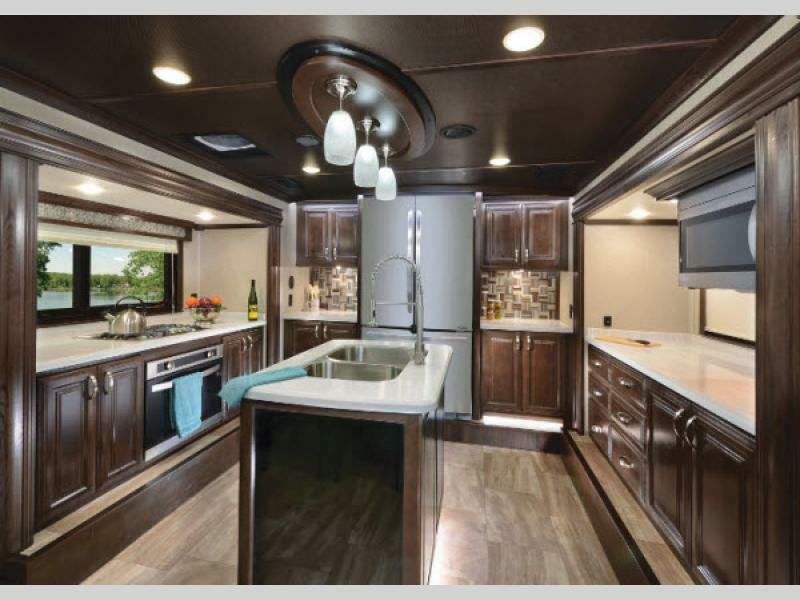 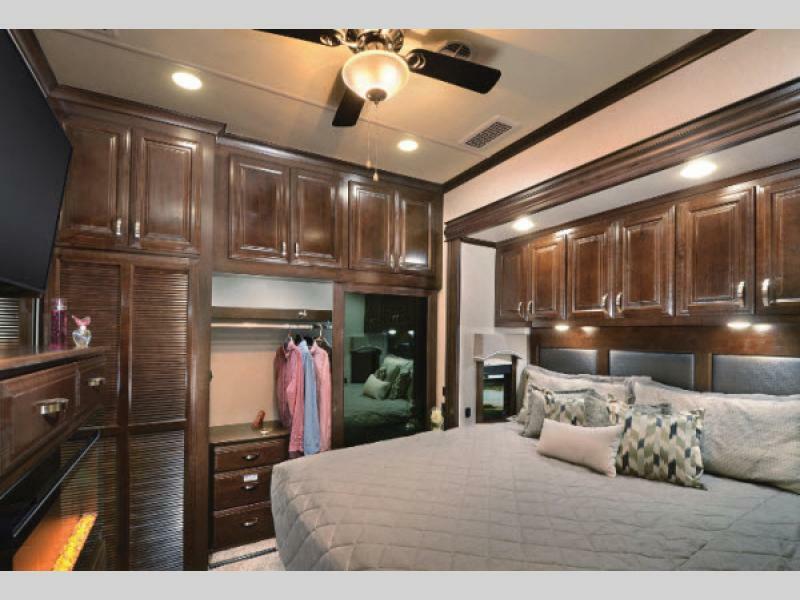 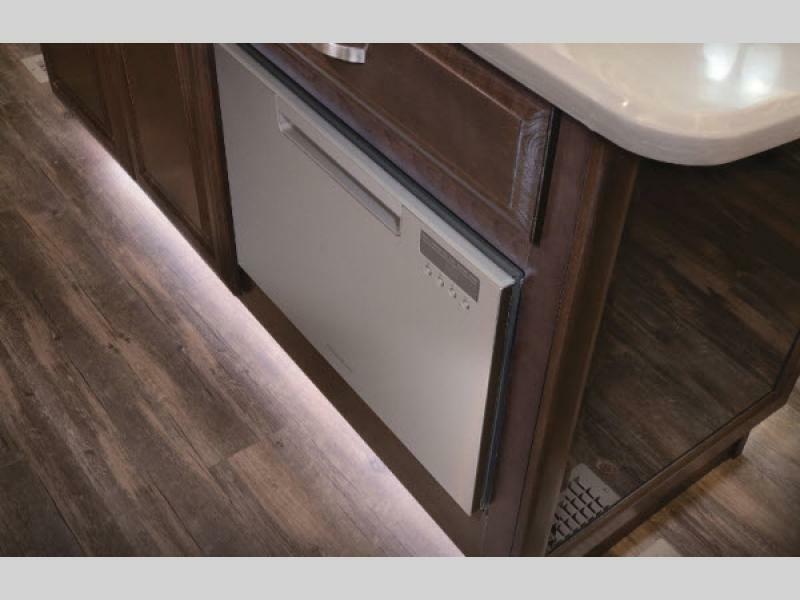 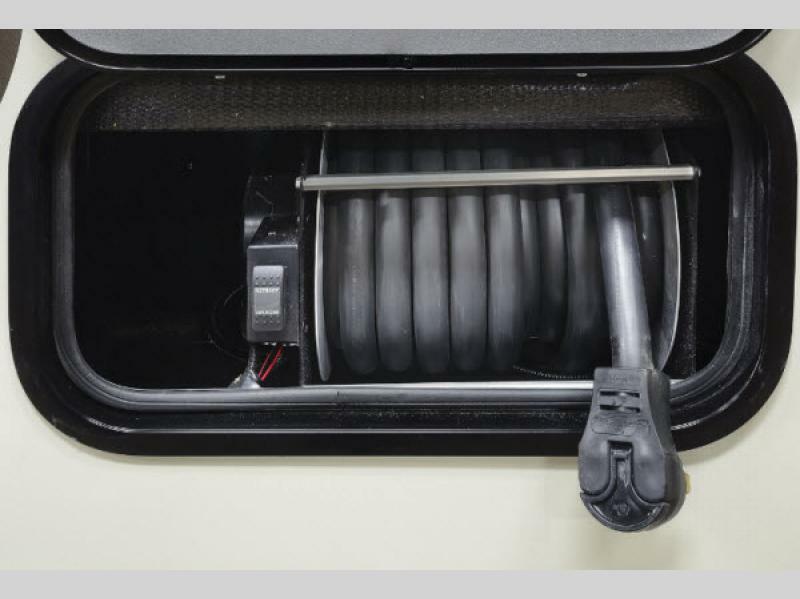 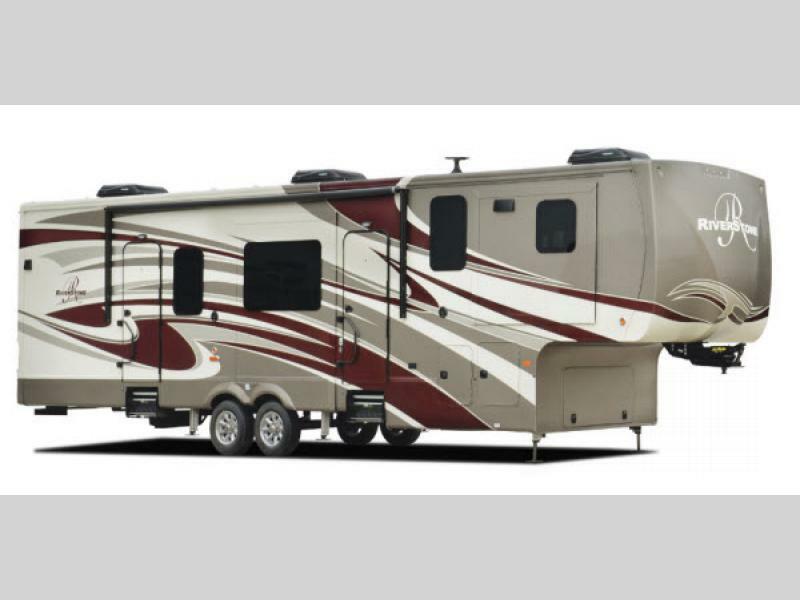 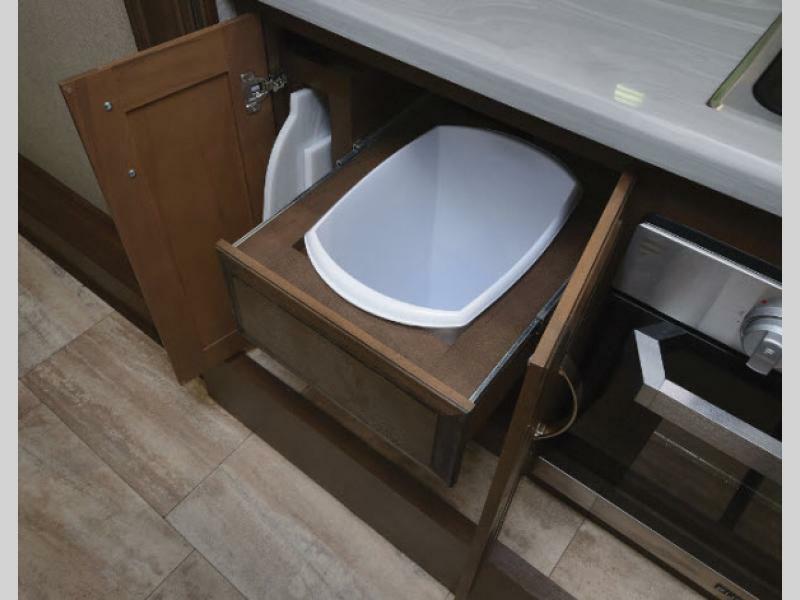 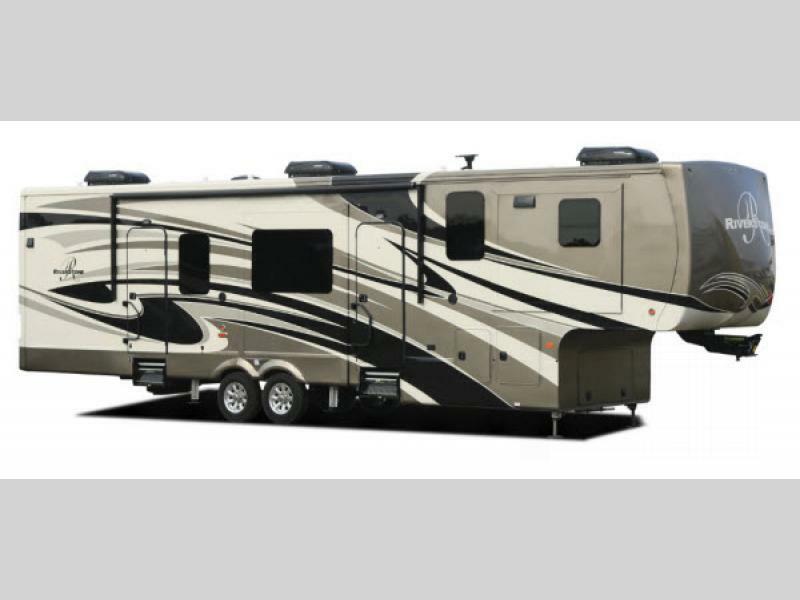 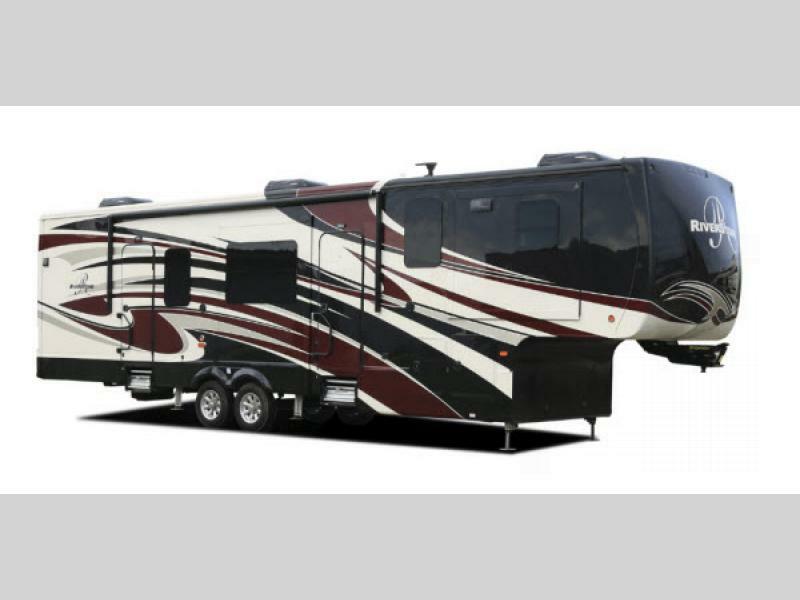 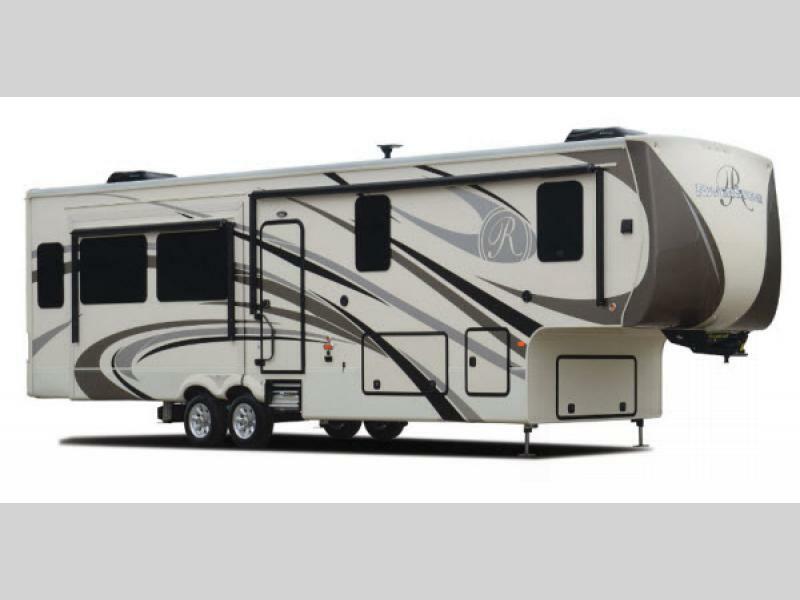 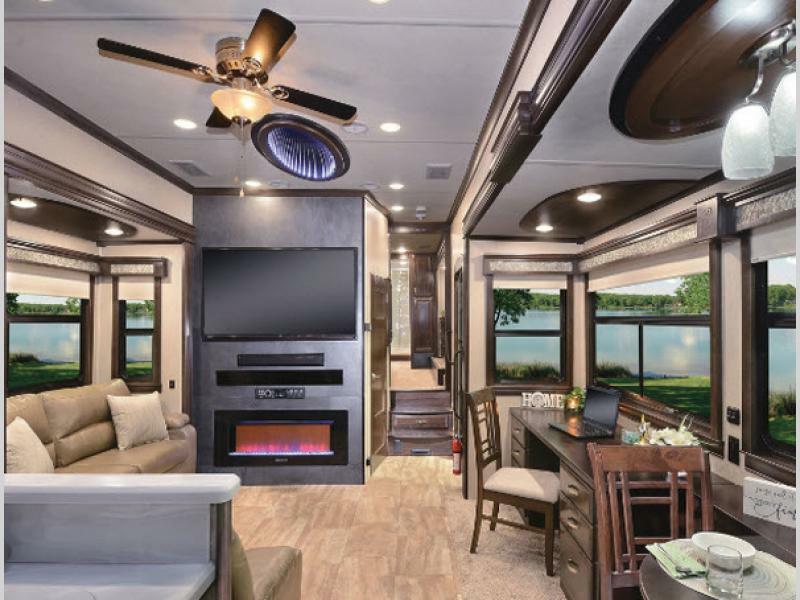 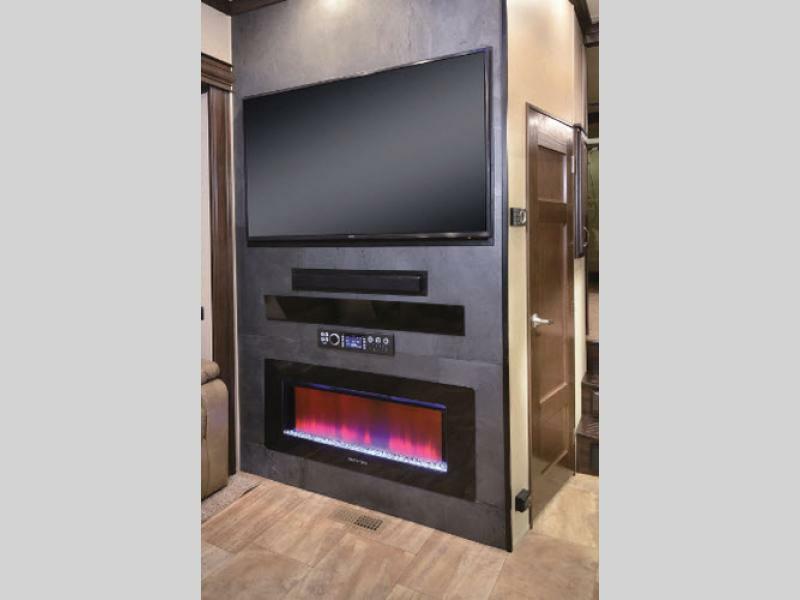 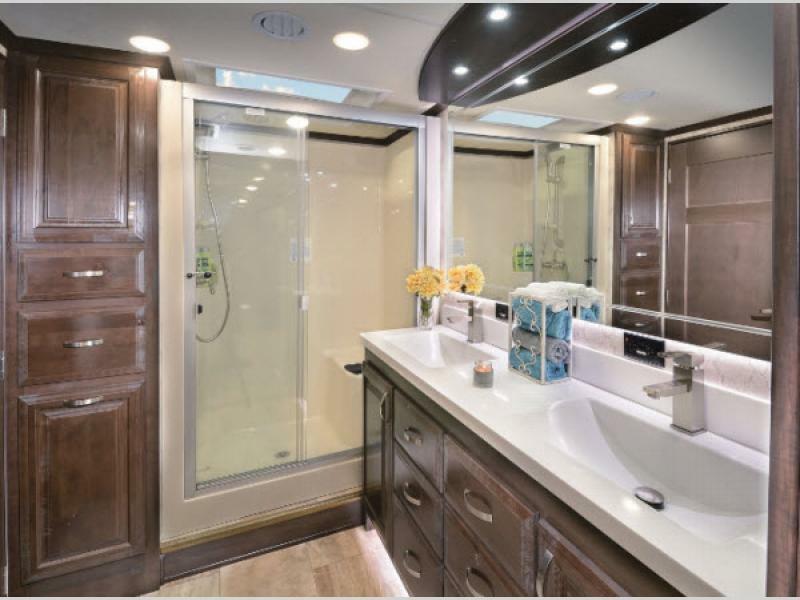 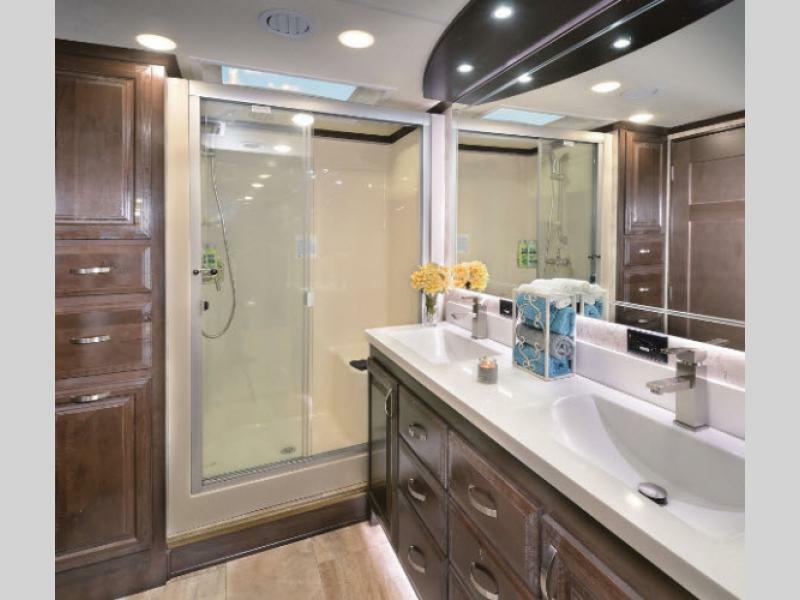 The RiverStone fifth wheel and toy hauler line is here to enhance all of your travel experiences and will have you and your family camping in style with all the at-home conveniences right at your fingertips. 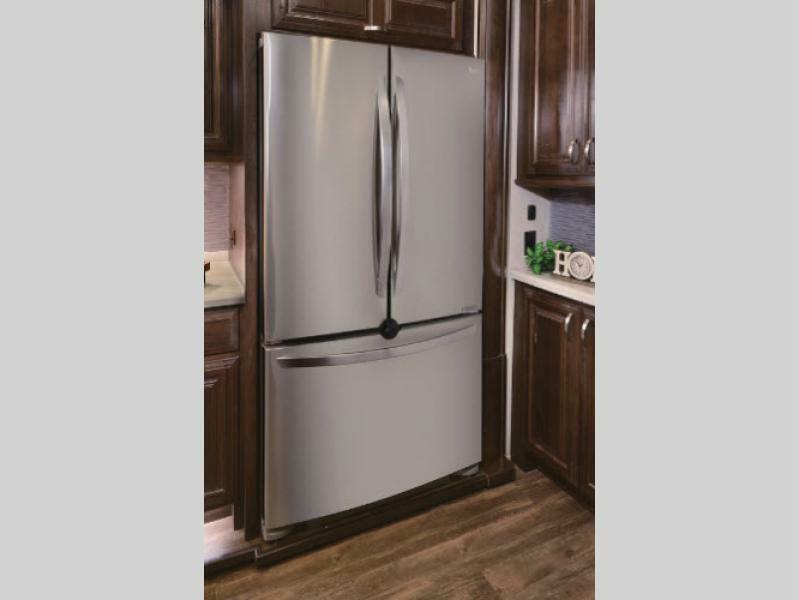 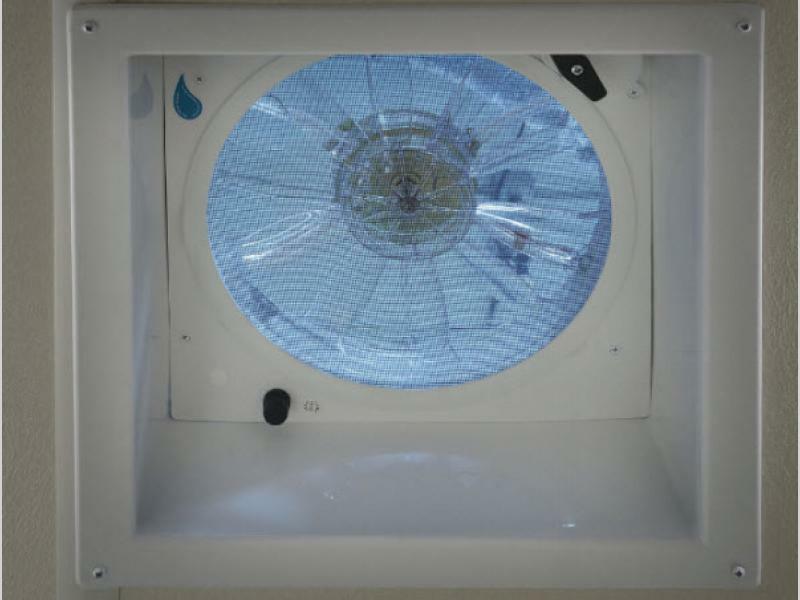 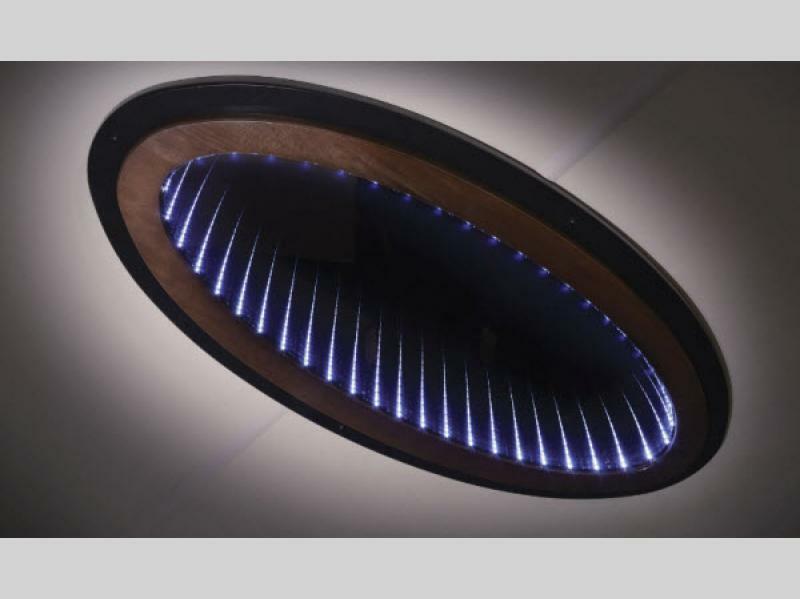 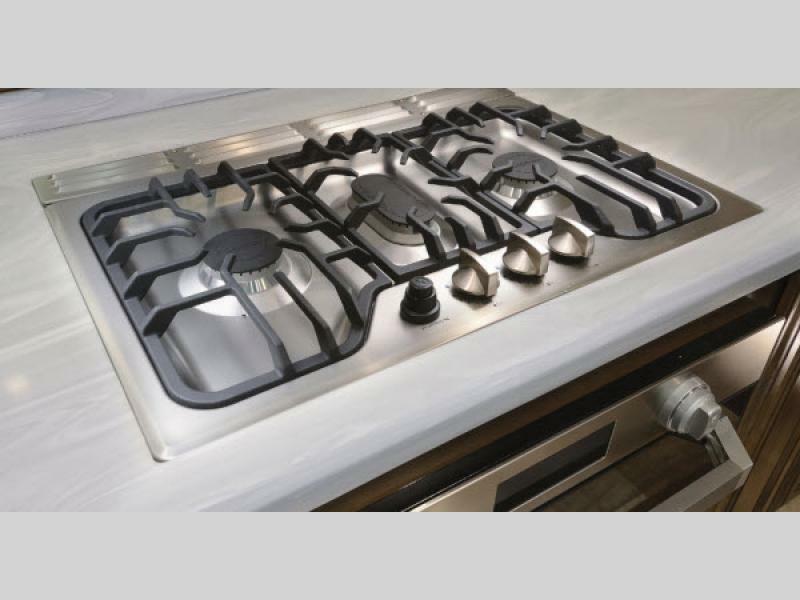 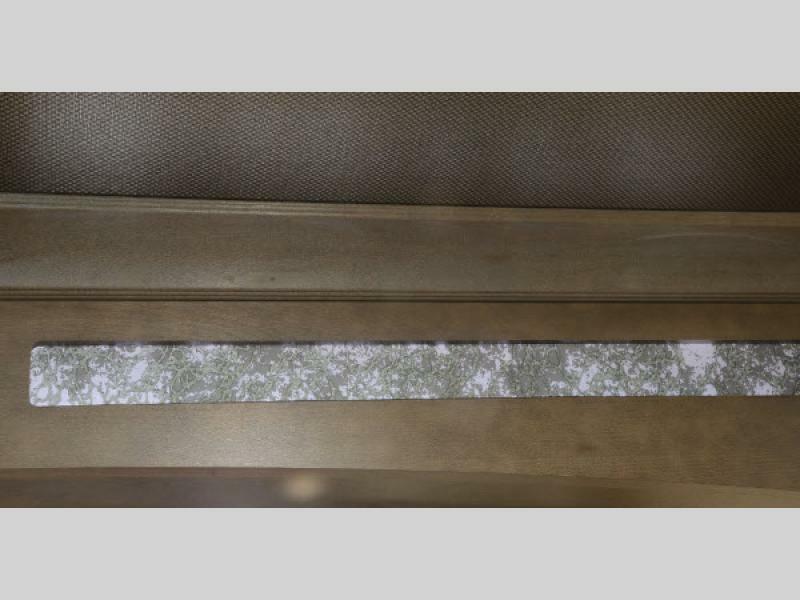 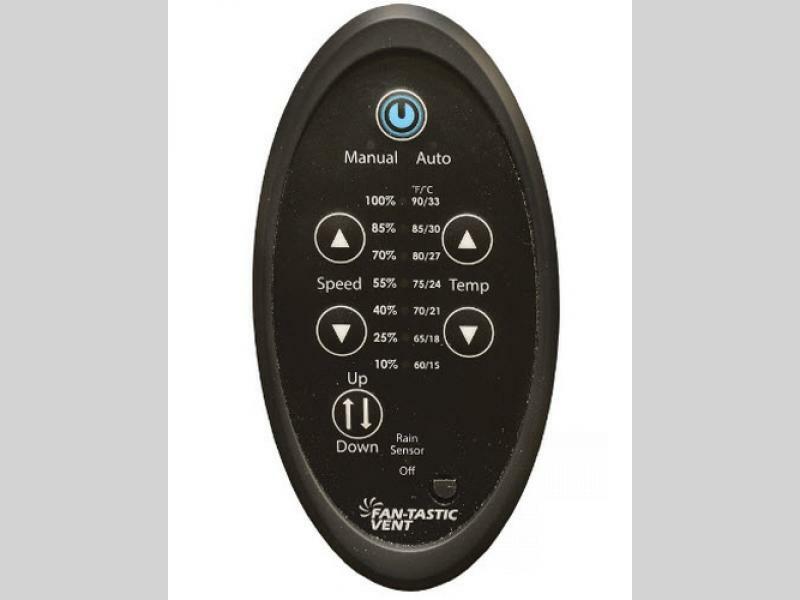 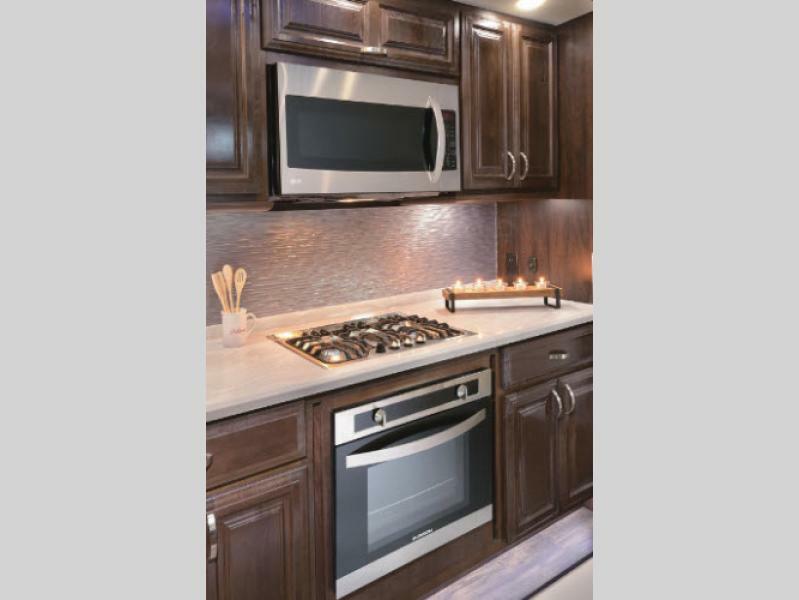 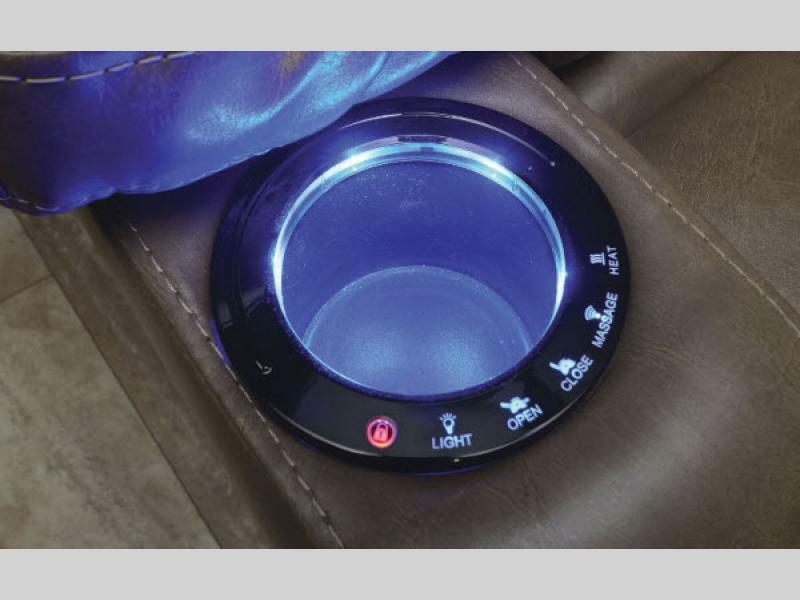 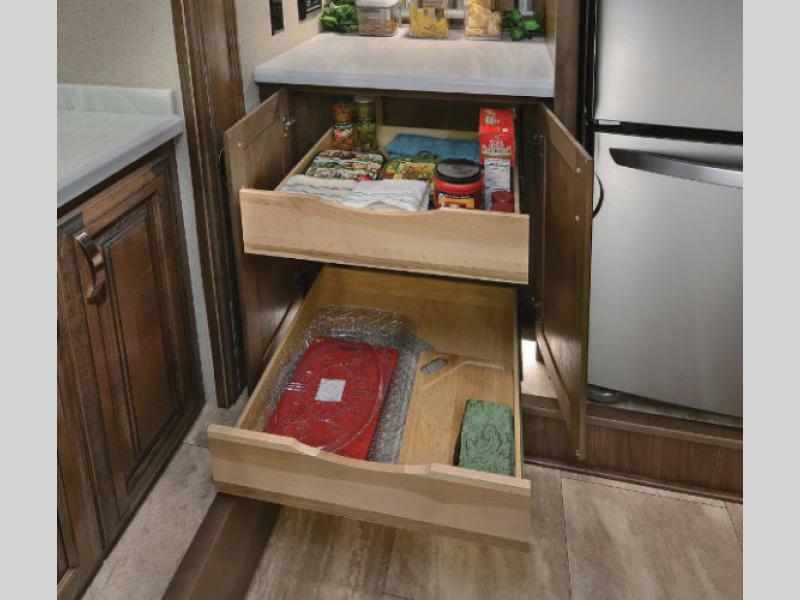 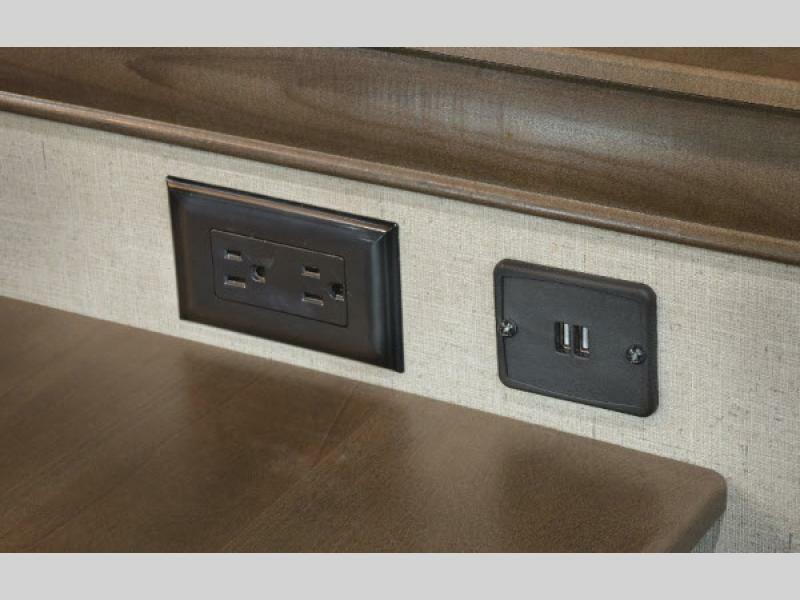 Features like the 30" stainless steel convection microwave, the LED lighting, and the 10" thick memory foam mattress. 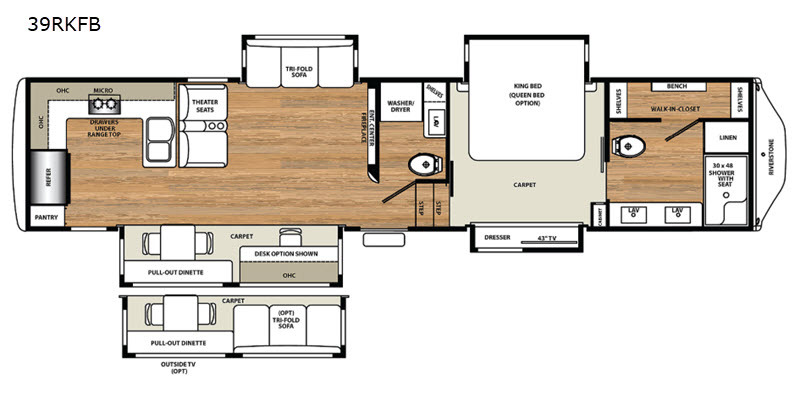 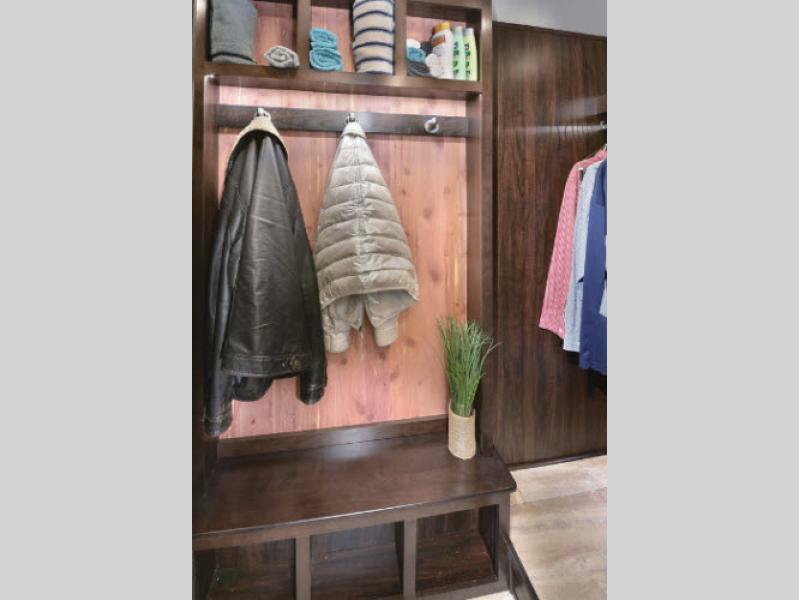 Each unit features a spacious interior including several slide outs which provide added space to move about. 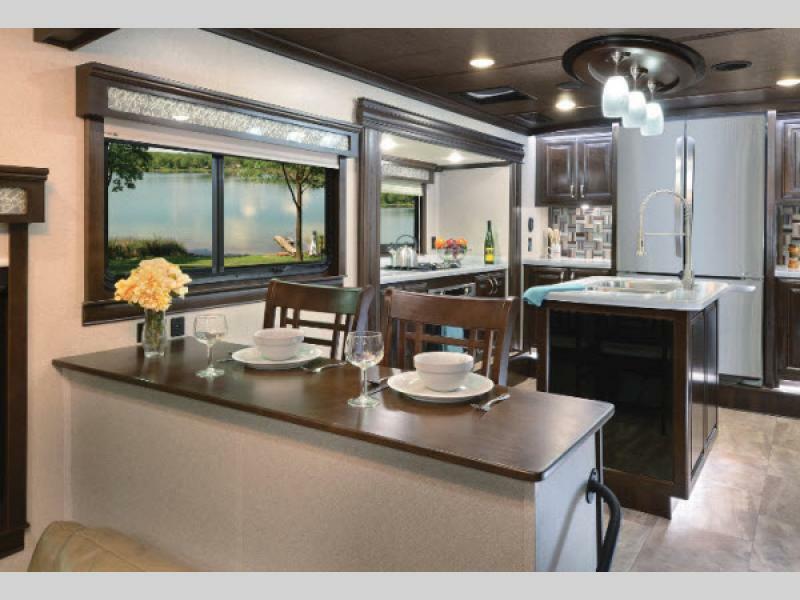 You will also find a wide open kitchen area and a spacious bath, with some models including a bath and a half. 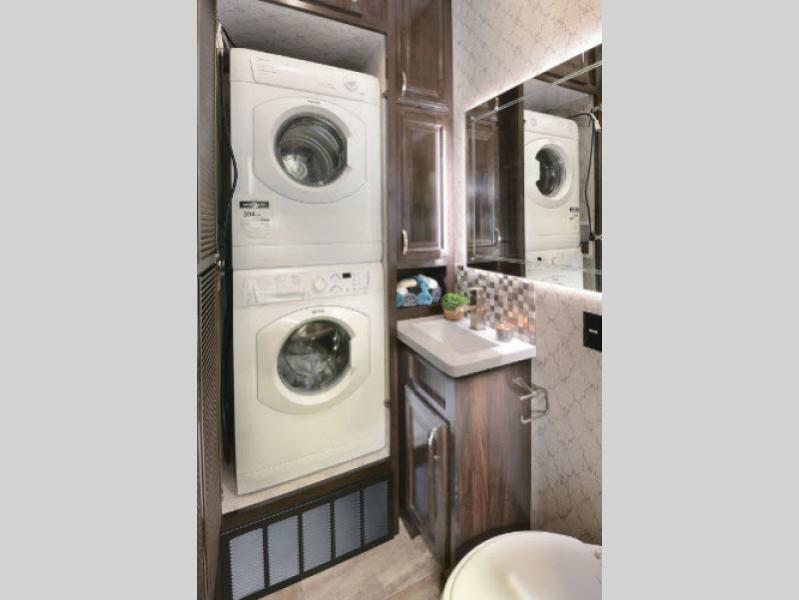 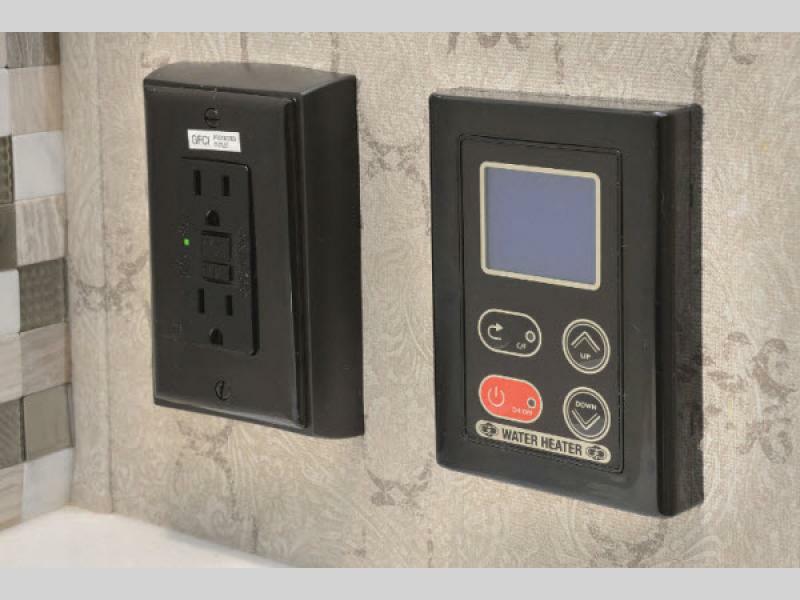 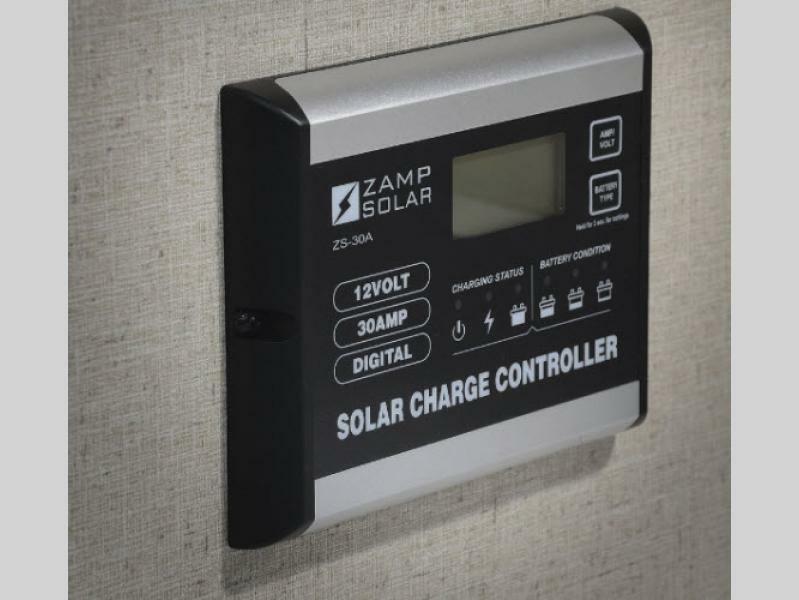 Each are filled with loads of storage and some luxury features and options like a fireplace, a Fisher Paykel dishwasher, or even a stackable washer and dryer so you can return home without a pile of dirty laundry to do. 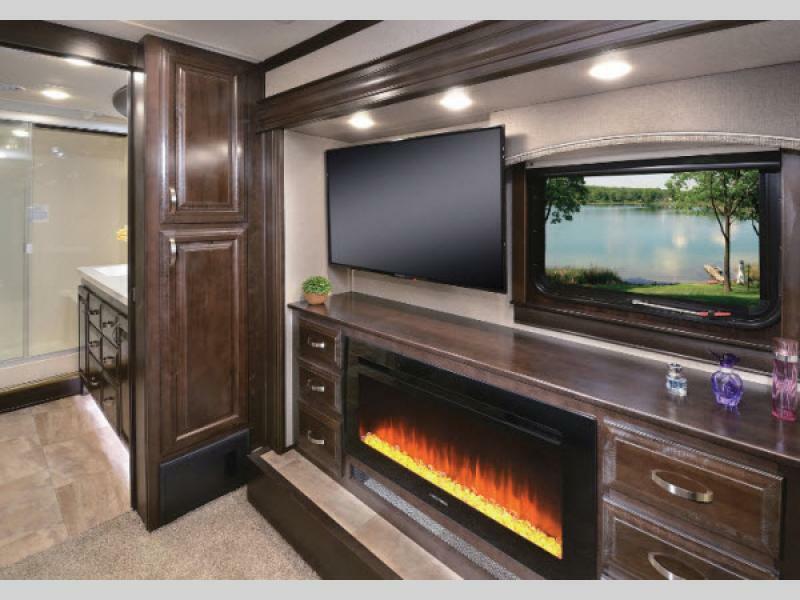 So, for your next luxury weekend get-a-way, come choose your new RiverStone fifth wheel, and camp as if you never left home! 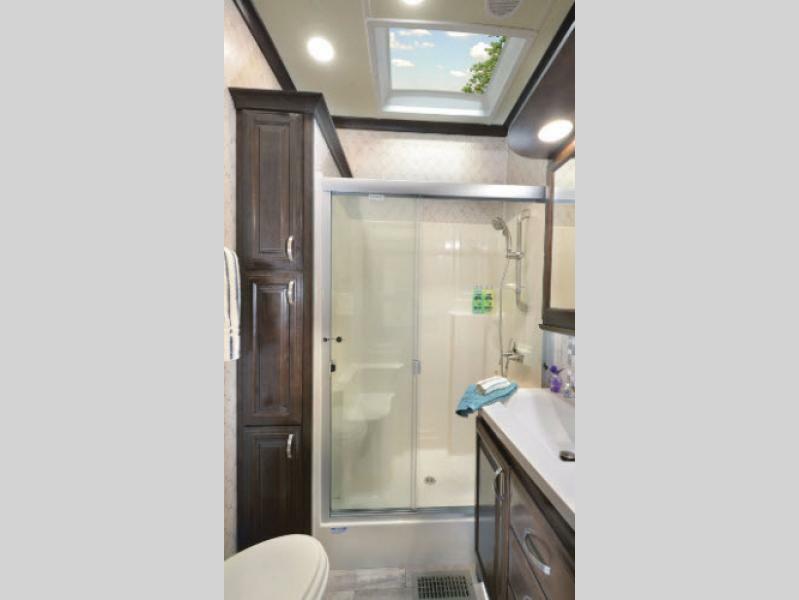 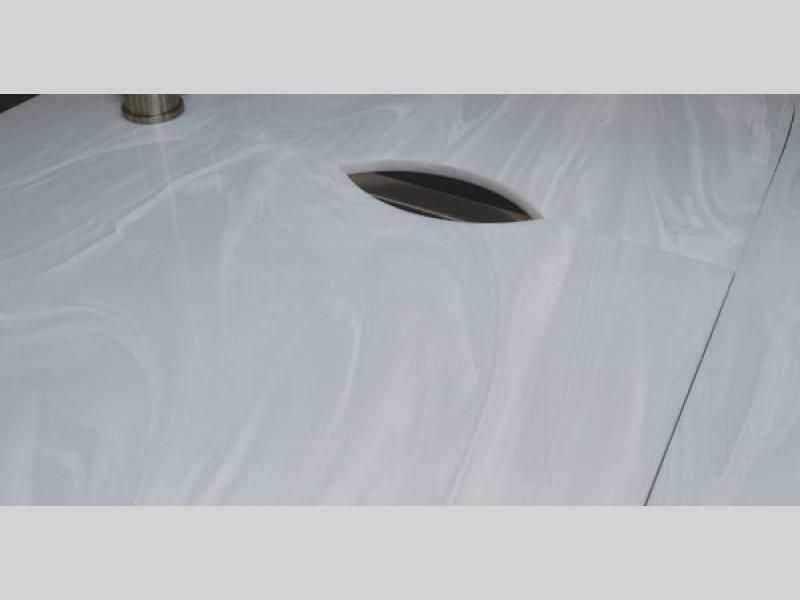 Shower Size 30" x 48"
See us for a complete list of features and available options!